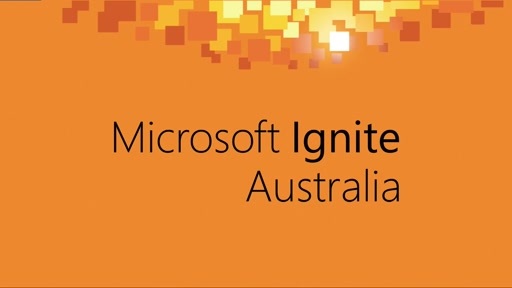 Ensure you get the most out of Microsoft Ignite Australia by attending the End User Computing Foundation session. 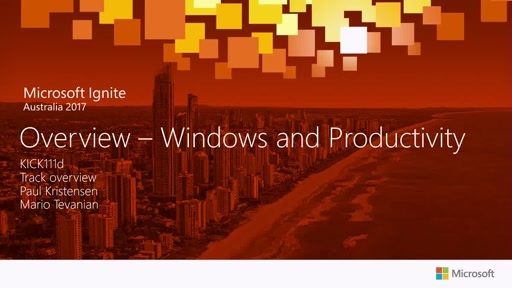 Join Paul Kristensen, Windows Technical Solution Specialist and Mario Tevanian, Productivity Technical Solution Specialist in a must attend session where we will introduce our list of great speakers and industry experts, share insight on how to get the most out of the Windows and Productivity track and an introduction to the extensive list of material across the sessions. 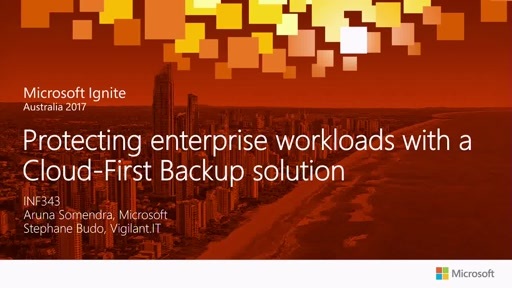 The tracks will provide all the latest details across Windows, Security and Productivity and the path to Digital Transformation – sessions will primarily be focused on Level 300 and 400 ensuring a quick overview and then diving straight into in-depth details on the topics ensuring you have all the details to implement the features in your organizations. Plus, while meeting your peers take the opportunity to meet our great speakers. 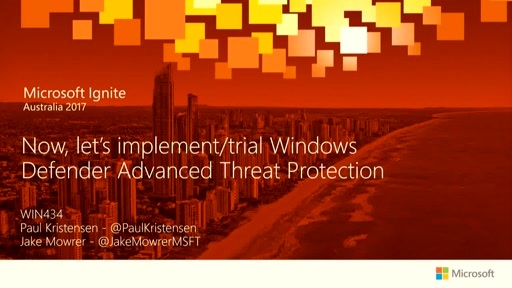 Now, lets implement/trial Windows Defender Advanced Threat Protection.